Angels are a classic icon of the Christmas season, showing up in stories of starless skies to living room treetops. With these sweet patterns, you may soon find angels at your sewing machine or in your hand-sewing basket! This selection of angel tutorials and patterns range from traditional to rustic to super cute and kid-friendly. Choose from a mix of ornaments and soft toys or dolls. You can use them as Christmas decorations or keep them out year-round as your own guardian angels. Happy Sew Lucky designs so many cute things to sew. This sweet angel cut and sew kit for $13 allows you to stitch up a 10-inch tall angel doll with ease. The illustrated style is so fun and something kids will certainly want to squeeze. Make it as a gift or give the kit to a young sewing friend as a thoughtful holiday gift. The simple and sweet angel pattern by Corry of the Dutch Blue blog is on the more basic side, while also looking like it would be at home in a country cottage. A wire halo and legs make for a unique mixed-media touch. Best of all, by changing the fabrics and a few small details, each angel you make can be unique! This charming felt angel decoration pattern uses a standard sewing machine to create embroidered details that shine. It's designed for felt and makes use of the printed doll faces also sold by zouzoudesign. The $8 pattern also shows you how to stitch the face yourself or make your angel with cotton fabric. Imagine the angel possibilities! For a classic and simple angel, look no further than this Tilda angel doll pattern. Tilda dolls come in many styles and with plenty of accessory options, all while keeping this basic look. She would look lovely perched at the top of a tree and when Christmas is done, be sure to keep her around to watch over your home! 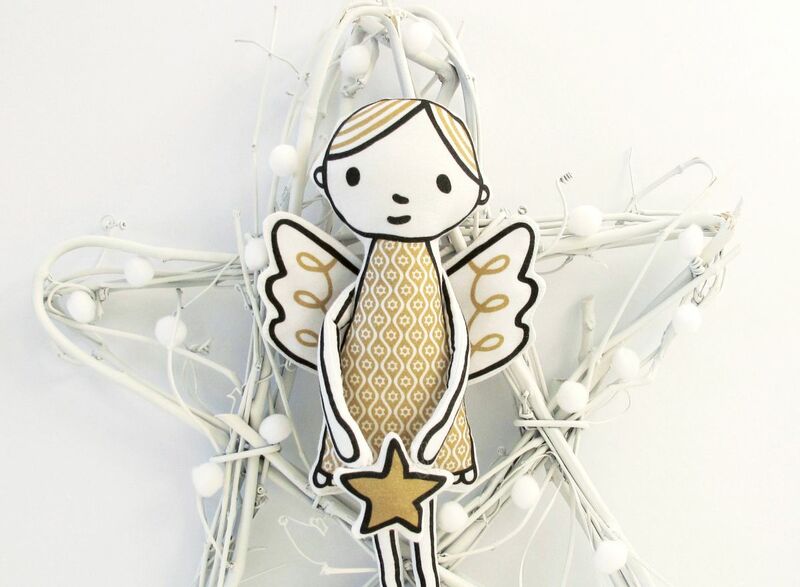 Laura Howard of Bugs and Fishes always has the sweetest crafts and this hand-sewn felt angel ornament is no exception! It incorporates a small amount of embroidery and beads, giving the bauble just a hint of sparkle. She also has a different style of felt angel ornament to share too! 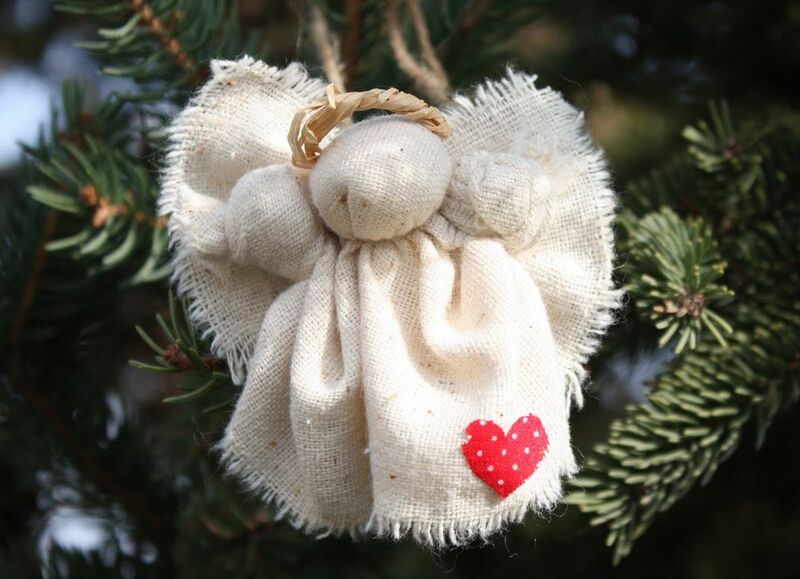 This rustic Christmas angel project requires only a small amount of sewing. It's designed so you can choose to make your angel into an ornament for your tree or a pin for your coat. While it looks wonderful in a basic fabric like muslin or osnaburg, a subtly-printed quilting cotton would also work great! For more soft and loving angels, Dolls & Daydreams has a few options available like the angelic baby angel soft toy pattern. They offer machine embroidery files as well as patterns for a standard sewing machine. There's even a pattern for a stuffed angel that doubles as a Christmas tree topper! Gifts to Sew that Don't Break the Bank!